His life was a roller-coaster ride, swerving from imprisonment to presidency. 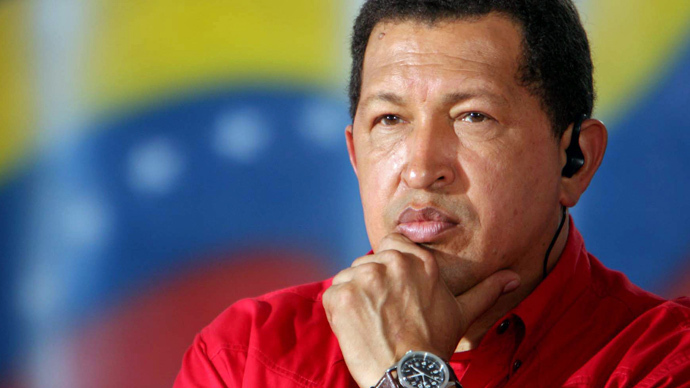 The late Venezuelan President Hugo Chavez, one of the most charismatic world leaders, had a rich life and prolific political career. Chavez began his adult life as an army officer in Venezuela's paratrooper unit; he staged a coup in 1992 along with other disgruntled members of the military in an attempt to overthrow the ruling government of Carlos Andres Perez. The coup failed, and Chavez spent two years in prison until he was pardoned; this marked the beginning of his momentous career in politics. He then founded the revolutionary Movement of the Fifth Republic party and ran for president in 1998, promising economic reforms and campaigning against government corruption. He won the presidency in 1999 by riding a wave of popular outrage at Venezuela's traditional political elite. 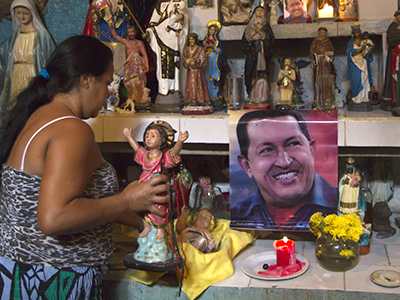 Chavez remained in power continually since then, except for a brief period in April 2002 when he was removed by military leaders over his controversial plan to tighten his personal grip on the state-run oil industry. 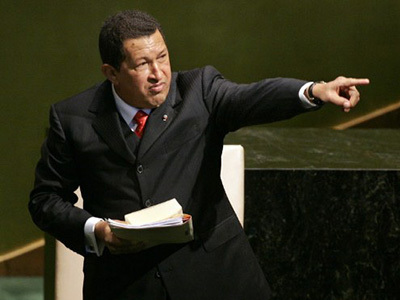 He returned to power, but a stalemate ensued, leading to a referendum in 2004 on whether Chavez should remain president. A majority of voters chose for Chavez to complete his term. Chavez promised Venezuelans 'revolutionary' social policies targeting the 'predatory oligarchs' of the establishment. Since he came to power, most major Venezuelan companies have been nationalized. Since 1998, more than 100,000 state-owned cooperatives – which claim to represent some 1.5 million people – have been formed. His supporters say he speaks for the poor, while his critics argue that he has become increasingly autocratic. In 2010, Amnesty International criticized the Chavez administration for targeting critics following several politically motivated arrests. Chavez may have been a source of controversy in foreign policy more than any other area, refocusing Venezuelan policy on economic and social integration in Latin American. Chavez brokered deals to exchange Venezuelan oil for Brazilian arms, for Cuban expertise and for Argentinian meat and dairy products. He also partnered with Latin American leaders on energy integration, and vigorously pursued efforts to expand trade integration across the continent. He was a vocal supporter of Argentine President Cristina Fernandez de Kirchner in her long-running dispute with Britain over the sovereignty of the Falkland Islands. Throughout his presidency, Chavez was particularly hostile towards the United States, which he blamed for the failed 2002 coup against him. “You need to remember that Latin America used to be a backyard of the United States for a long time,” Chavez said in an exclusive 2010 interview with RT’s Spanish channel. 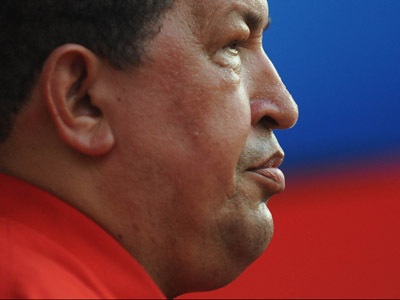 In December 2011, Chavez also speculated that the United States could be infecting the region's leaders with cancer. He objected to the wars in Iraq and Afghanistan, and said that he considered George W. Bush to be an "evil imperialist." He threatened to stop selling oil to the US in the event of another attempted coup, but also donated heating oil to help the victims of hurricane Katrina and Hurricane Rita, which destroyed fuel processing facilities in the US. Chavez also expressed a favorable view of Iran’s controversial nuclear power program and denied that Iran aims to develop atomic weapons, much to considerable alarm in Washington. 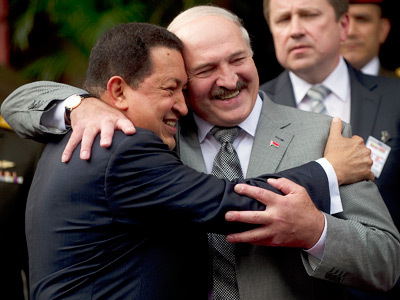 Under Chavez, Venezuela also strengthened relations with Russia. Since 2005, Venezuela has purchased $4 billion worth of arms from Russia, including 100,000 Kalashnikov rifles, and the two countries have held joint naval exercises in the Caribbean Sea. In 2010, Chavez announced that Russia would build Venezuela’s first nuclear power station, and that the nation had agreed to a further $1.6 billion in oil contracts with Moscow. During his time in office Chavez became one of Latin America's brightest and most extravagant leaders, not only in his political decisions but also in the way he dressed. From his all-time favorite trademark paratrooper’s red beret and dark green uniform or a bright red shirt to traditional Latin American ponchos and Mexican hats, he always wore something red as a classic socialist. He would never go to an official meeting without his signature red tie. Chavez would speak his mind on all possible matters, including sport, theology, Marxist rhetoric and women. 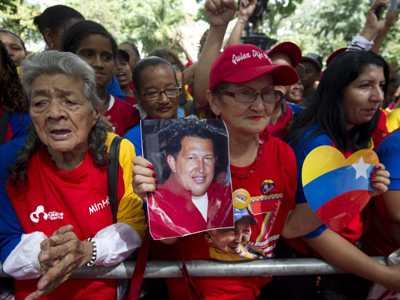 While Chavez is regarded as a hero of socialism by many at home and abroad, he leaves behind a country in crisis. His government is widely blamed for mismanaging Venezuela's economy; with inflation running at 18 per cent, another credit devaluation is likely. The country's homicide rate is likewise staggering – in 2010, Caracas had the world’s highest murder rate. Corruption is notoriously rampant in virtually every public institution, and consumer goods are scarce. 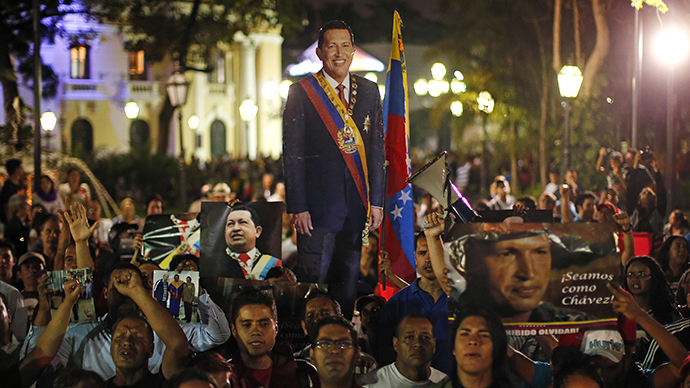 During the November elections, Chavez defeated opposition candidate Henrique Capriles by 11 percentage points. Critics accused his government of controlling the media and election apparatus, and of employing bullying tactics to discourage competition. There is now a chance that Vice President Nicolas Maduro, Chavez’s chosen successor, could face a steep challenge should he run in the country's forthcoming presidential election.